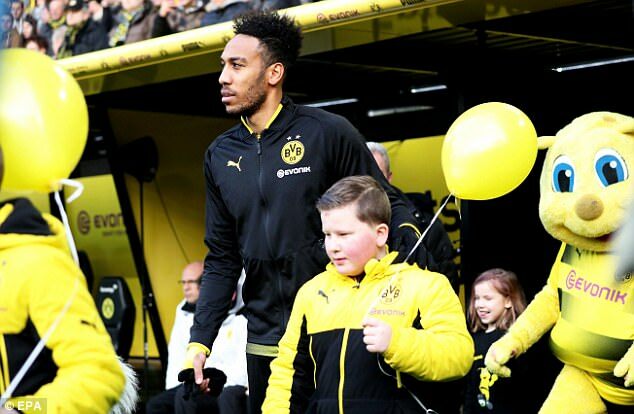 Wenger lands German goalking, Aubameyang! Arsenal have agreed a club-record fee of £55.4million with Borussia Dortmund for striker Pierre-Emerick Aubameyang. The Gabon international, who has been the subject of intense interest this month from the Gunners, is also set to be the club’s highest-paid player. Arsenal have offered Aubameyang a three-and-a-half-year contract worth £180,000 a week as they look to bolster their attacking options. 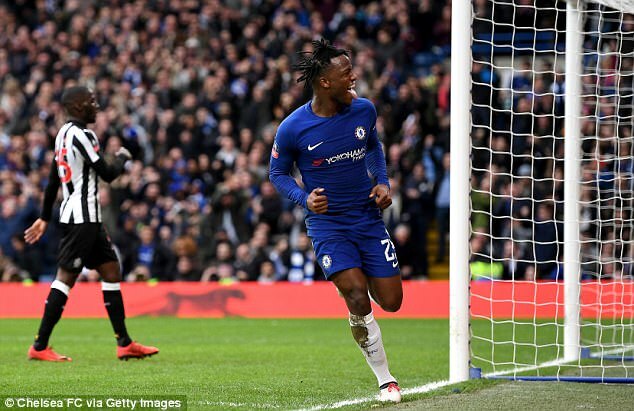 Meanwhile, Sport Bild are reporting that Borussia Dortmund have lined up their replacement for Aubameyang, with Chelsea striker Michy Batshuayi to be loaned to the Bundesliga outfit. 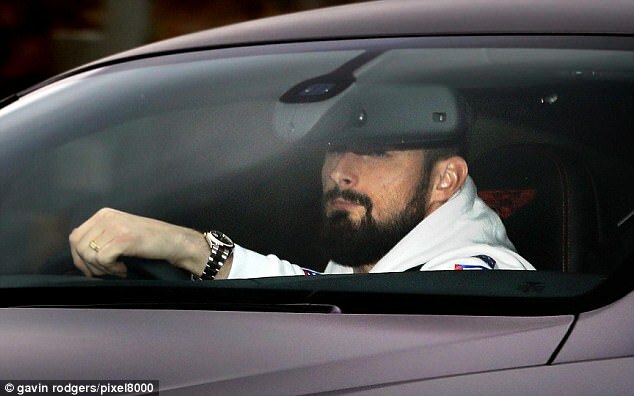 Dortmund had looked at signing Giroud but a move for the Frenchman failed, with the striker’s family wanting to stay in England. Aubameyang’s arrival means Arsenal will allow Giroud to move to Chelsea should their London rivals meet the club’s £35m valuation. 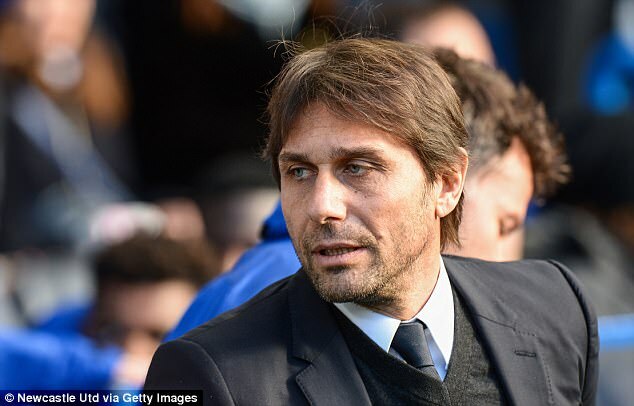 Chelsea discussed Giroud over the weekend as they are struggling to strike an agreement with Roma for Edin Dzeko and Emerson Palmieri. 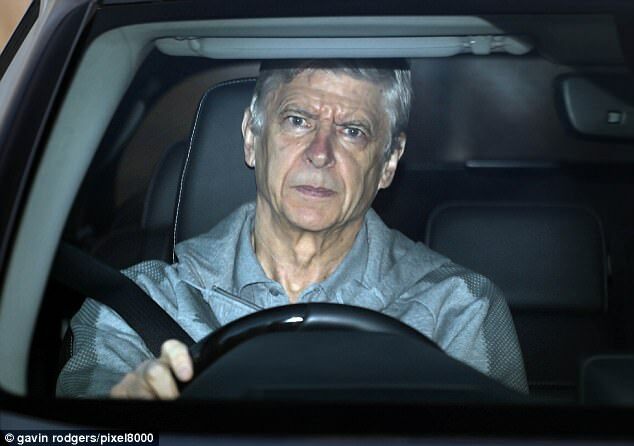 Arsene Wenger, who is eager to build a squad that can fire Arsenal back into the Champions League, was pictured arriving for training on Monday with the deal for Aubameyang drawing ever closer. Wenger is currently gearing up for Arsenal’s Premier League clash with Swansea on Tuesday night at the Liberty Stadium. The north London outfit sit sixth in the English top flight, five points off fourth-placed Liverpool with 14 matches remaining. 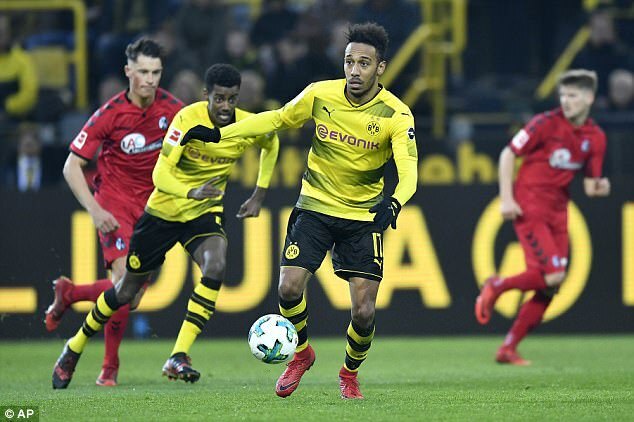 Aubameyang will be an excellent addition to Arsenal’s squad in the hunt for a top-four spot, with the 28-year-old having netted 13 goals in the Bundesliga this season after finishing last campaign as the league’s top scorer.